The Dansko Honor Black-Black Suede is comfortable, stylish and just plain fun. This sporty sneaker is a cool companion for wherever you go. This athletic inspired oxford flexible and lightweight. 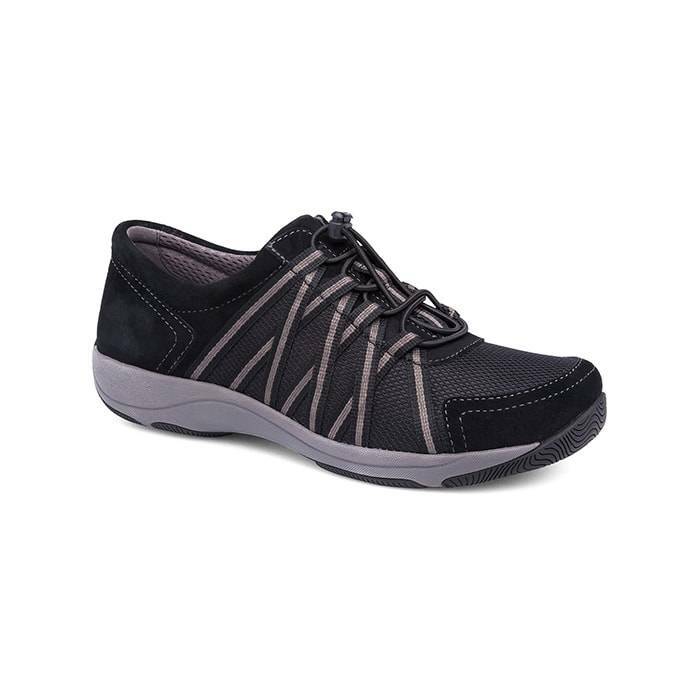 A contoured memory foam-cushioned footbed and arch support is also featured. The footbead is also removable for custom orthotics. In addition, a durable rubber outsole provides traction and stability. Likewise, detailed strapping along the webbing and elasticized bands in lieu of laces, gives this shoe a dynamic look. As shown above, this is one heck of a shoe.